Candy and Fruits video slots from the German game making company Merkur offers a sweet maximum jackpot for lucky players. Depending on the denomination of the coins played, the largest reward in the game can prove substantial. Some people may find binging on this game quite tempting. 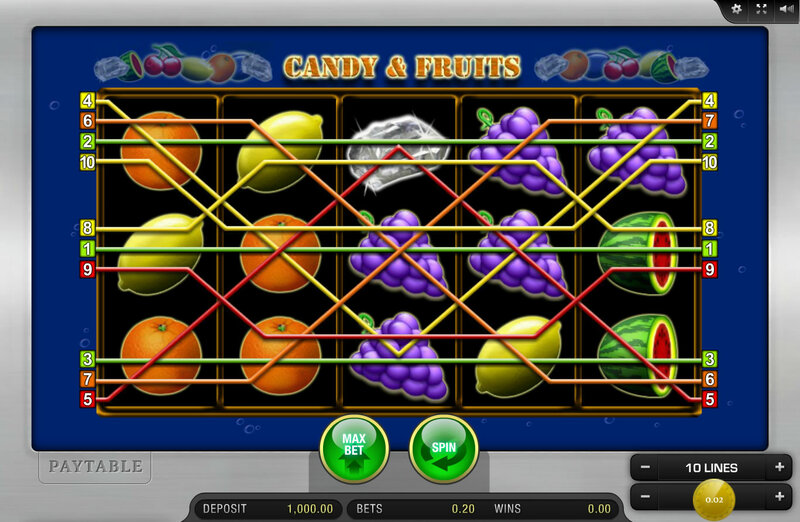 This online slot uses many familiar symbols found in fruit games, and adds a wild card icon that will substitute in all jackpot combinations. The five reel game offers three rows of icons, plus ten unique paylines. When three or more of the same symbols line up across an active payline, players earn jackpots of variable sizes, depending on the symbols involved. Some versions of the game also include a special “gamble ladder” designed to enable a player to gamble the amount earned in play in order to generate additional winnings (or losses). Players won’t lose more than their total accumulated profits, although using this feature can result in some players leaving empty handed. Participants may win the maximum available Candy and Fruits jackpot even when they refrain from using the gamble ladder feature. This Merkur game uses symbols that include a number of well-designed fruit icons, plus a piece of candy. 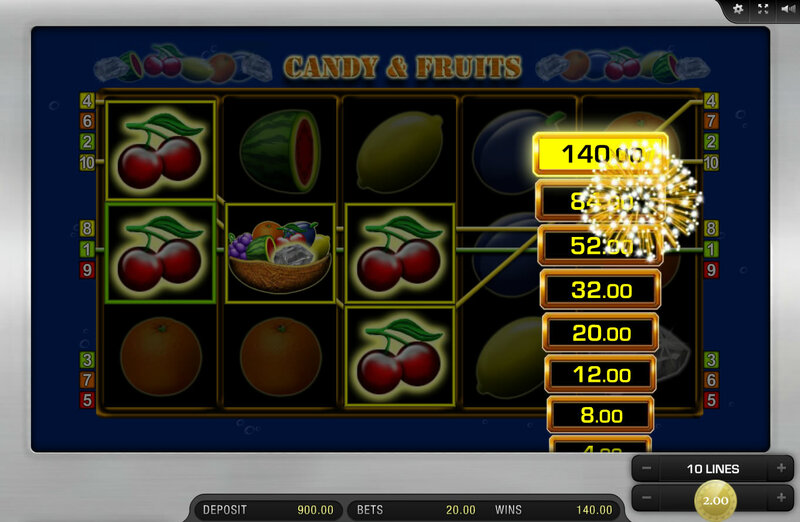 Participants earn jackpots when the requisite number of identical symbols line up across an activated payline. The candy offers the sweetest treat, furnishing payouts ranging from 50 coins Sterling to 10,000 coins when a player spends 20 coins to activate all ten paylines during the spin. Other icons yield different levels of jackpots. 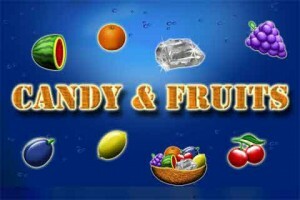 Merkur Game players who enjoy fruit games will appreciate seeing oranges, lemons, cherries, plums, watermelons, grapes and candy symbols falling across the screen. This game furnishes the same classic background sounds employed by many Las Vegas-style slots machines, with chimes noting every spin of the reels and loud carnival music heralding winning combinations. Set against a solid black background screen, the beautifully drawn vivid symbols used in Candy and Fruits offer visual interest. This game utilizes a special wild card symbol in the form of a bowl of fruit that will substitute for any other symbol in the game. This feature assists players by enabling them to complete winning combinations more frequently, and to enhance the number of winning icons, increasing winnings. The fruit bowl symbol even substitutes for the sought-after candy icon. Merkur’s Candy and Fruits inspires excitement and interest. It offers sufficient variation that players likely will want to continue playing this captivating video slots for extended periods of time. Participants do need to budget their bankroll carefully while playing this game, however, especially if they use the gamble ladder function. The spinning reels provide an easily understood, classic gaming model with widespread appeal. 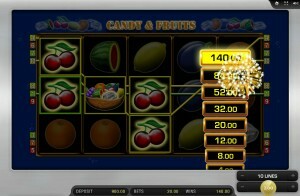 Offering many small jackpots and the promise of a lucrative payout if five candy symbols ever line up across an activated payline, Candy and Fruits entices players to keep spinning the reel in order to win some sweet rewards. It remains a fun addition to existing “fruit game” video slots. 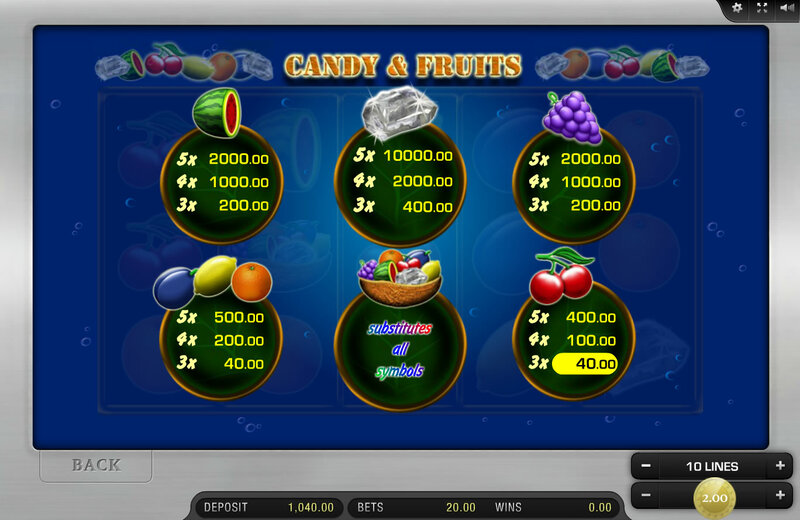 By offering the promise of generous jackpots and including some very exciting features, Candy and Fruits manages to retain player interest during the course of game play. This easily played, simple video slots game will surely appeal to many sweet tooths!